Former European amateur medallist ready to take down undefeated German Tran. Derry’s McCullagh (8-0) headlines Ginley Promotions’ ‘Danger at the Devenish 2’ fight bill at the Devenish Complex where a host of MTK Global fighters are in action. The 27-year-old Belfast-based southpaw is topping the bill for the second time at the venue, while he is keen to bag some valuable pro experience against Germany’s Tran (6-0). 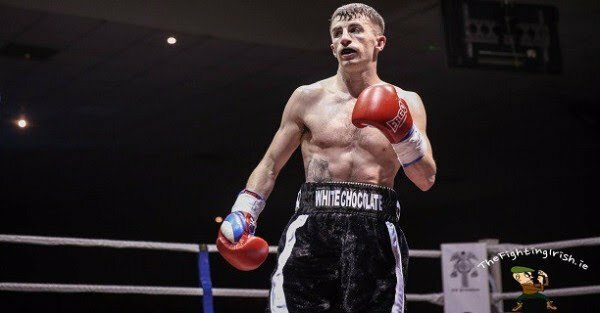 “I’ve been scheduled for a few six-rounders before but none of them went the distance, so this will be my first time going past four, but I’m as fit as can be so it shouldn’t be a problem,” said McCullagh. “I’m ready for anything he brings. I’d like to get a stoppage, but it’ll be good to get some rounds in the bank,” continued the 2010 European Elite amateur medallist. “I haven’t seen a whole lot of Tran. There’s a few clips on YouTube and I’ve seen him about as an amateur – we were at a few of the same competitions – but I don’t really read too much into that. A limited number of tickets are available at the Devenish Complex for tonight’s bill, with nine fights taking place on an action-packed card. Doors open at 6.30pm.